Last year Sony introduced the first mirrorless full frame line of cameras. With the 2015 refresh of that line, Sony has placed on offer possibly the best camera money can buy. The backside illuminated (BSI) 42.4 megapixel sensor can practically shoot in the dark with its ISO range extending all the way up to 102,000. The in-camera five-axis image stabilization has been the talk of the camera pundits. Did you mention that you just bought a new 4K TV or iMac? Well, now you can shoot 4K footage recorded in camera on your A7R II and get the most out of that new display. Of course no camera is perfect. Even with 319 focus points, the auto-focus isn’t as fast as some premium DSLRs. Although, you can add an intervalometer app for additional cost, most high end cameras include this. There is no built-in flash, so you’ll need a radio trigger to fire off-camera external flashes. You’ll also need to use a cumbersome workaround to geotag your pictures because a GPS is not included. I do believe it is the best camera money ($3200) can buy, but I also think these shortcomings are not acceptable in a pro-grade camera. But if I were spending my money to get a full frame camera, this is the one I would get. My antique desktop desperately needed a replacement. I loved the iMac 27″ 5K but it was just too big. As a camera buff, I did not want to settle for a low resolution display like the ones with which the previous iMac 21.5’s were equipped. So, as component after component failed on my old desktop, I waited. Then, this year, Apple rewarded my patience with a nearly perfect 21.5-inch iMac with 4K Retina Display. Was it just me, or did you hear angels singing, also? Not only did the resolution increase, but the color gamut increased by 25 percent. Don’t be lured by the base hard drive, though. I sent that iMac back. At 5400 rpm, it is like tying a weight around your CPU and memory as they try to get work done. With the 2 TB Fusion drive, this computer is transformed into a lightly moving powerhouse that just gets my Photoshop and video rendering work done. I try to see the good in every streaming video player. The new Apple TV with tvOS is much improved over the previous generation but doesn’t yet play Amazon Prime or support 4K video. Amazon Fire TV supports 4K, but is geared primarily toward Amazon’s own products so heavily as to make using it for anything else not really worth the effort. 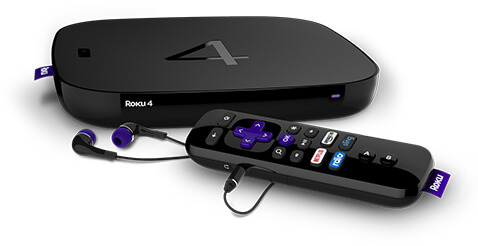 The Roku 4 offers every streaming service you want and supports 4K. Roku 4 is the future-proof streaming player that seems to get everything right. I can’t say I’m terribly excited about Windows 10. It strips out the Windows Media Center app that I’ve used to watch TV on my computer for over 7 years. I was able to hack my Windows 8.1 setup to where it was useable on family members’ PCs and on my MacBook Pro, but out of the box most people found 8.1 to have a less than intuitive configuration. Windows 10 has returned Microsoft to being an OS that anyone could easily enjoy. Is it too strong to say, that Windows 10 may have saved Microsoft from extinction? Probably, but I do think it saved Windows as a PC OS from going to the same level of irrelevance as Windows on a mobile phone. It is ridiculous the computing power that the smartphones in our pockets possess. Microsoft has c ome up with a way to free the power of your phone. The $99 Display Dock transforms your Lumia 950 or 950XL into desktop computer. Dock a Lumia 950 or 950 XL and use a monitor, mouse, and keyboard to create a PC-like work environment. Bam! Now, you’re tweaking the presentation you started at work on a big screen at home without toting home a laptop. Finally, someone is making it possible to conveniently use the power of our phones. Write this down. 2015 was an historic year for Microsoft. This was the year that the company who makes the software for every Windows PC finally made their own laptop. More than two thirds of all desktops and laptops run on Windows, but until now you had to buy your computer from another company. If you didn’t buy that other brand through the Microsoft store you also got what has come to be known as bloatware. Android is the most popular mobile OS, but it wasn’t until Google starting selling their own design of smartphone that we could fully appreciate their vision for a smartphone using their OS. Now, Microsoft has stepped up to the plate to show us what they think a laptop running Windows should be like. The answer? It should be awesome – and expensive. As I watched MS present their new laptop, I considered buying one to replace my MacBook Pro. The Surface Book is a laptop with a twist. The screen detaches from the keyboard to become a clipboard-sized tablet. Attached to the keyboard, the Surface Book can utilize an optional discrete GPU stored in the base. The touch screen is virtually lag-free when paired with the included Surface Pen stylus. This will be a great tool for artists. Unlike the iPad Pro it will run computer software not just mobile apps. At 3000×2000, the resolution is pretty dense for a 13.5 inch screen and there are options that range from “how can this be usable” 128 GB storage and 8 GB memory to a sixth gen Core i7 with 1 TB storage and 16 GB memory. If you can get over (or like?) the looks of the funky screen-balancing hinge and you have more money than you know how to spend, this could be your computer. It starts at $1500 and climbs to $3200. For that kind of money one can buy a maxed out MacBook Pro 15. Anyone want to tell me again how you pay more to buy an Apple computer? The Surface Book made history in 2015, but if I were buying a Windows laptop, I’d be headed over the counter where they sell the Dell XPS 13. I have a gift. There are only two ways to try to insert a USB cable into a USB port. But I feel quite confident that my gift is that I can try to insert the cable with the wrong orientation nearly 100 percent of the time. Apple came out with their proprietary Lightning cable to beat the orientation problem as well as miniaturize their old 30-pin connector. It is a great connector for the all-Apple family. But USB-C is the connector of tomorrow. Cables that meet the specifications are both fast and capable of providing power for charging. How awesome is USB-C? Apple’s new MacBook, Google’s Chromebook Pixel and Pixel C, the Android Nexus 5X and 6P smartphones, and Microsoft’s new Lumia 950 and 950XL phones all use USB-C. I have seen the future and it plugs in using USB-C. I don’t think it possible to talk technology in 2015, without using the word ‘hoverboard’ thanks to the “Back to the Future Part 2” references to this year. Granted, the Swagway X1 is a handle-free mini-Segway and doesn’t really hover, but marketing-hype has appropriated the appellation and the popularity began to soar until some brands of hoverboards were reported to have batteries that spontaneously burned. Amazon pulled most brands of hoverboards from their shelves and airlines refused to haul them. I’m not recommending their purchase, but Swagway X1 is a brand that can still be purchased from Amazon so it is probably one of the safer choices of the affordable (about $400) “hoverboards”. Cord cutting is definitely a trend in the United States. Between Netflix, Amazon Prime Video, Hulu Plus, and YouTube there is an amazing wealth of video entertainment available for streaming. 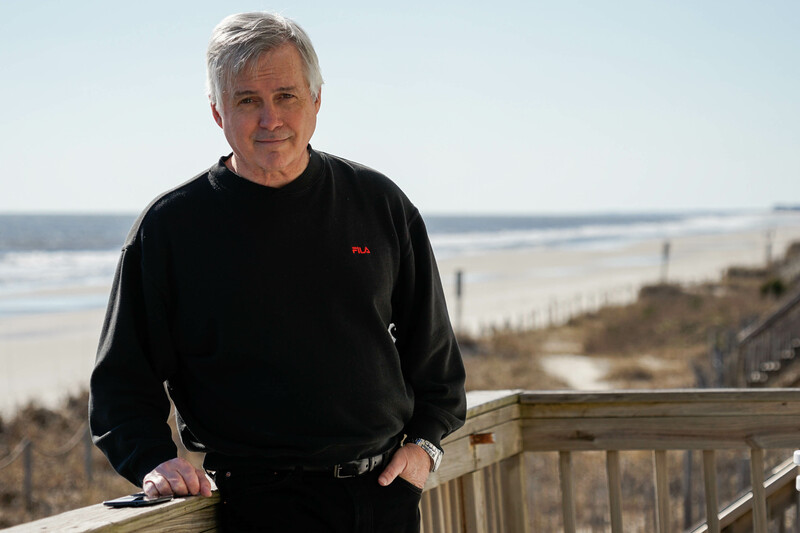 The problem being what can one do about live television, like news broadcasts and sports? Others have tried to fill this gap only to have The Man shut them down in court. But now we have Sling TV. $20 per month brings us ESPN, CNN, HGTV, History, Food, Travel, TNT, TBS, AMC, Disney Channel, and others. Use your Chromecast or Roku to watch it on your TV. Watch Sling TV on your computer or mobile device. 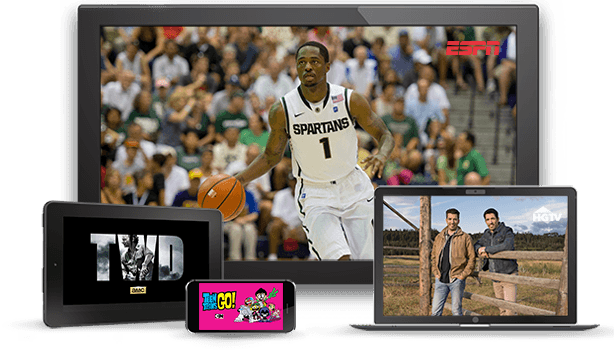 Sling TV sets your viewing free to be on virtually any device. Cable television was a revolution in offering greater variety and more consistent quality than our old analog antennas. But Sling TV, or something very much like it, is the way that we will watch television in the future – when we need a side of live to go with our main course of streaming videos. Amazon offered this as a special deal to Prime members on an invitation only basis for $99. I had been about to buy a UE Mini Boom bluetooth speaker for about the same price. Since the Echo serves as a bluetooth speaker, I figured that I had little to lose in giving it a try. Many of the things one can do with an Echo can already done with other devices in the home, including our smartphones. We have apps for Pandora, Tune In Radio, iHeart Radio, and Audible. I also use the Echo as a timer. When cooking I can simply issue a voice command to start the timer. No need to wait until I can clean my fingers and find my phone. It is trivial but addictingly convenient. Is there something you want to do? Tell Alexa to add it to your “To-do list”. Same thing with the shopping list. As you realize that you’ve used the last of the flour, you simply say, “Alexa add flour to the shopping list.” Open the shopping list on your Alexa app at the store and there is flour just waiting to be checked off. She has other skills, too. She can tell you what the weather is going to be, search Wikipedia for information, and report the morning’s news to you while you’re brewing your coffee. I use IFTTT and a Nest thermostat so that I can say “Alexa, trigger the heat” and she turns my heat up in the morning. I don’t have any Philips Hue lights, but if I did Alexa would let me control them with my voice. The skill set for Alexa is just the kind of things that one really wants to make our everyday life details a slight bit easier. No one needs an Echo. 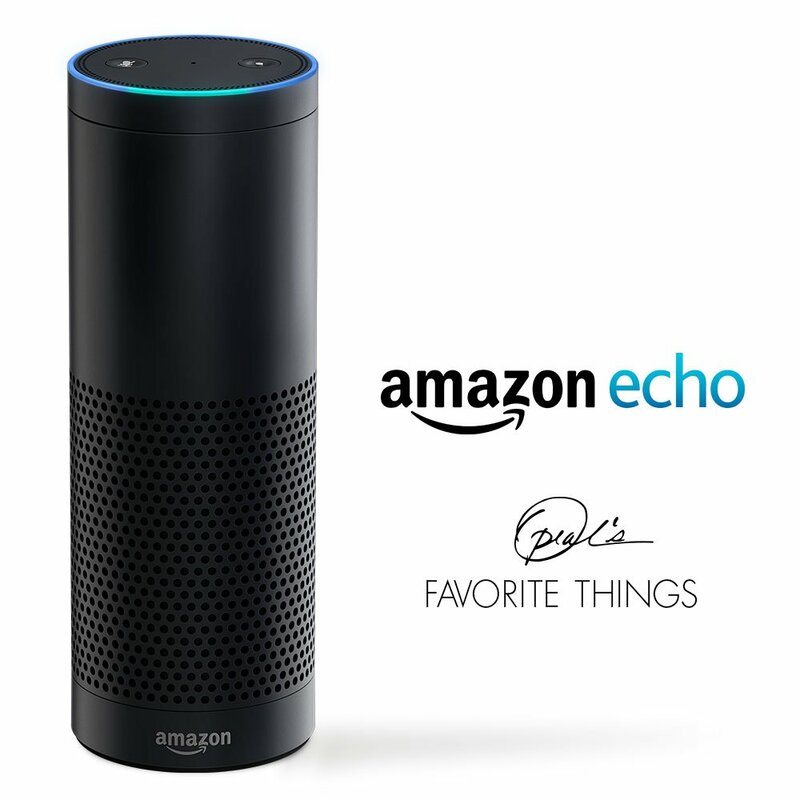 But I can’t imagine anyone not loving their Echo – even at the full $180 price they sell for now. This entry was posted in Geeky. Bookmark the permalink.